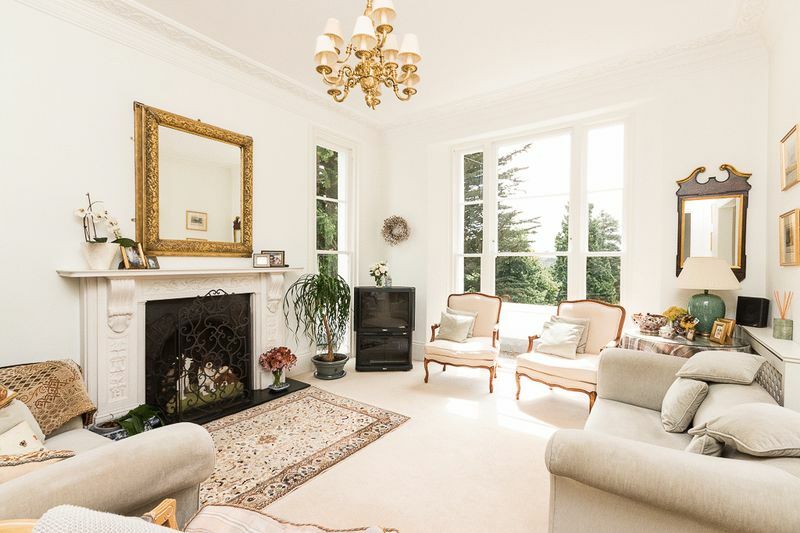 A wonderful example of a spacious semi-detached 7 bedroom Victorian villa with large basement, situated in an elevated position offering spectacular views over the garden, Decoy wood and countryside beyond within a highly sought after location. 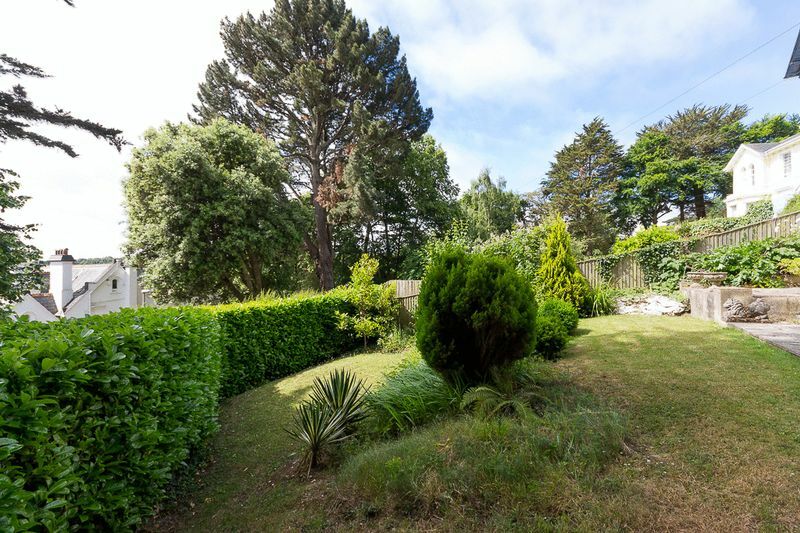 The property is set on a generous sized plot and offers versatile and spacious accommodation throughout. 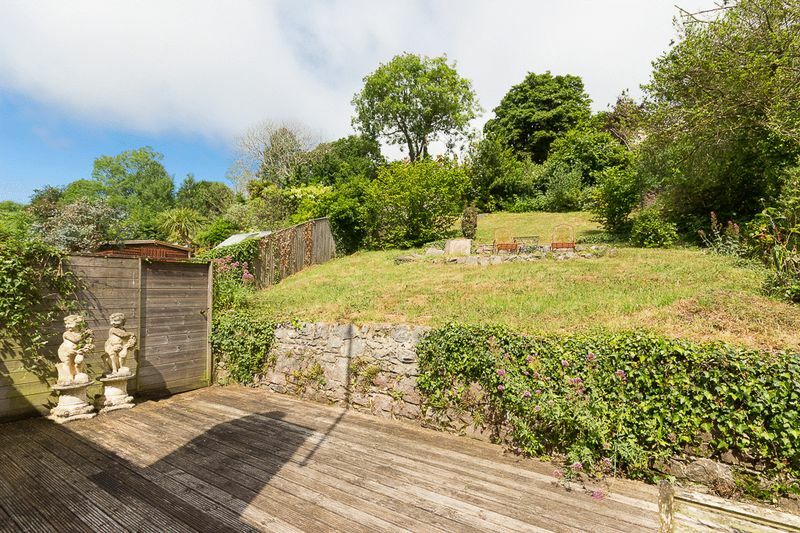 This property would make an excellent family home being within easy striking distance of Totnes, Exeter, Plymouth and having Newton abbot on its doorstep. Internal viewing is highly recommended to appreciate all that is on offer! 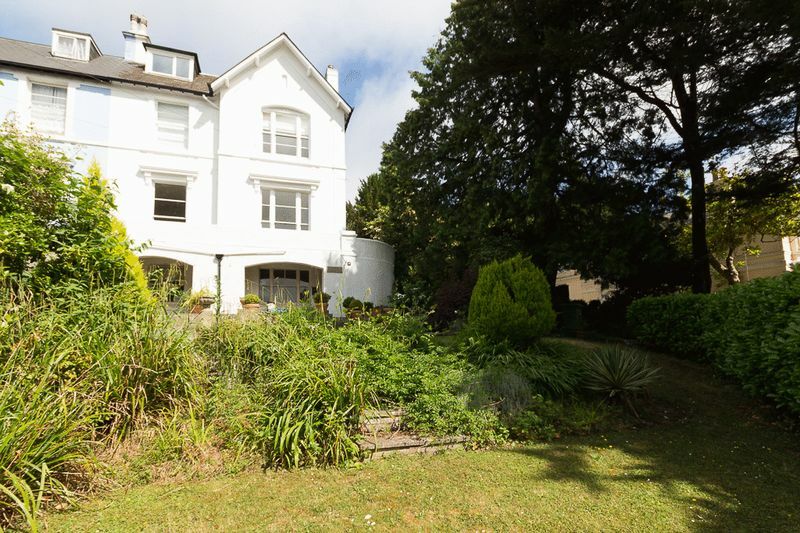 The property is situated within walking distance of Courtenay Park, Forde Park and the bustling town centre of Newton Abbot. 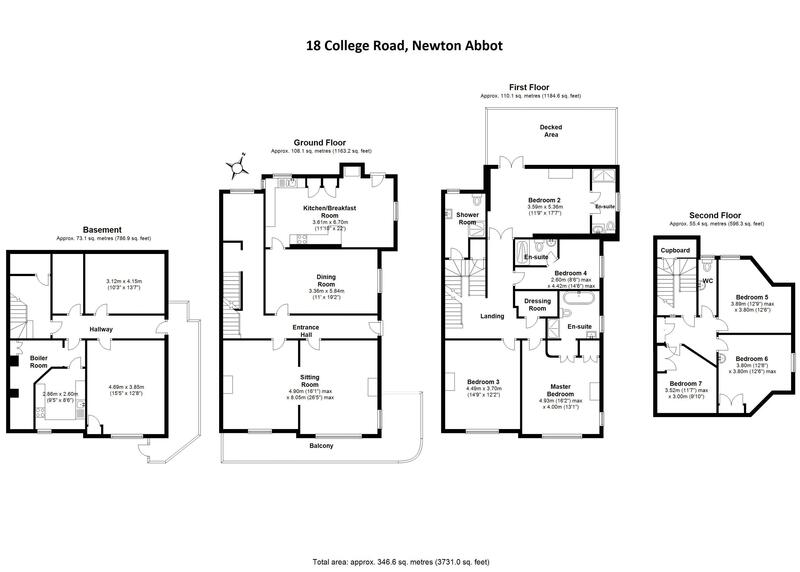 Newton Abbot is a thriving market town offering a wide range of amenities including health and leisure facilities, a variety of comprehensive and private schooling, a fine selection of shops as well as a mainline railway station. 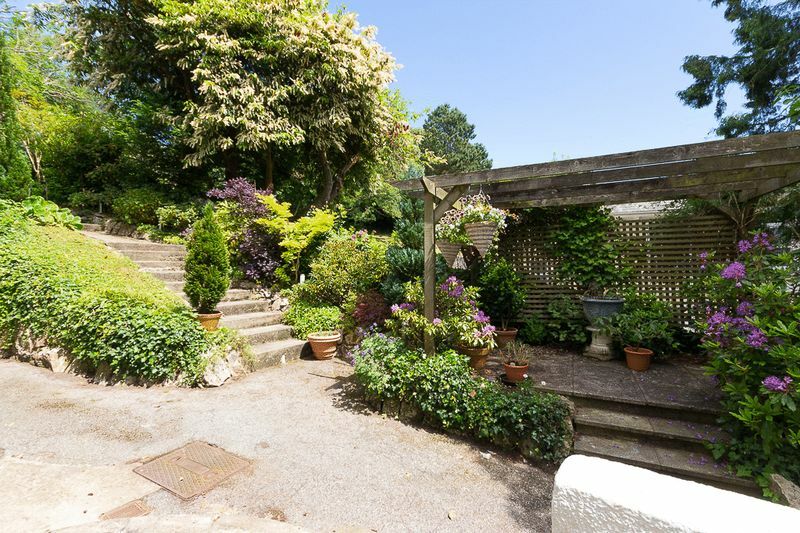 Easy access is afforded to the expressway and in turn to Plymouth, Exeter and the M5 beyond. 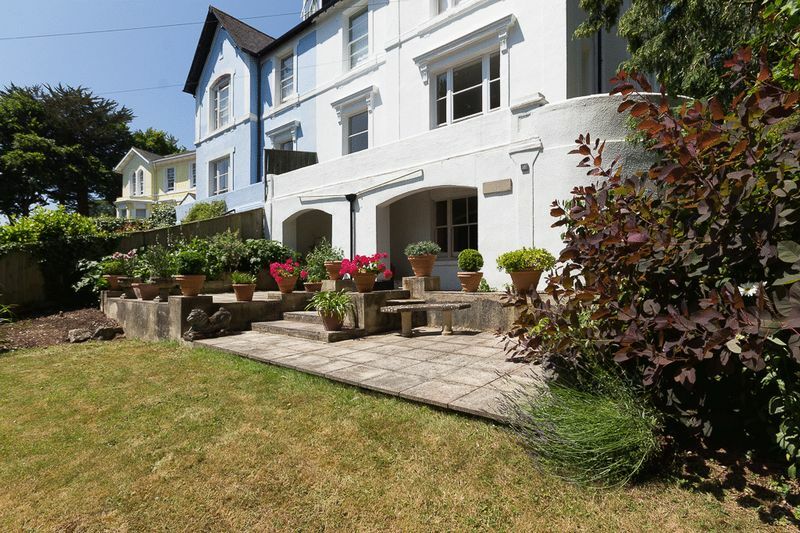 Nearby are the attractive resort towns of Torbay as well as the coastline and South Hams beaches. Dartmoor National Park is a short drive best known for its striking granite tors, steep wooded river valleys and heather covered moorland! 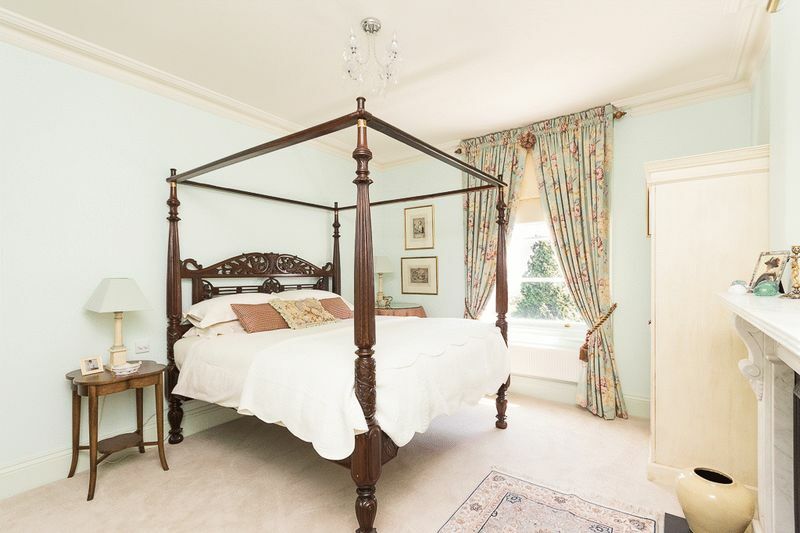 Upon entering this substantial property, you are immediately greeted by a welcoming entrance hallway complete with an archway, heavily detailed cornicing and a grand staircase rising to the first floor. There is an under-stair cupboard housing the boiler and to the rear of the entrance hall is currently a study area with a characterful stain glass window, which would also have the potential to be turned into a utility area. 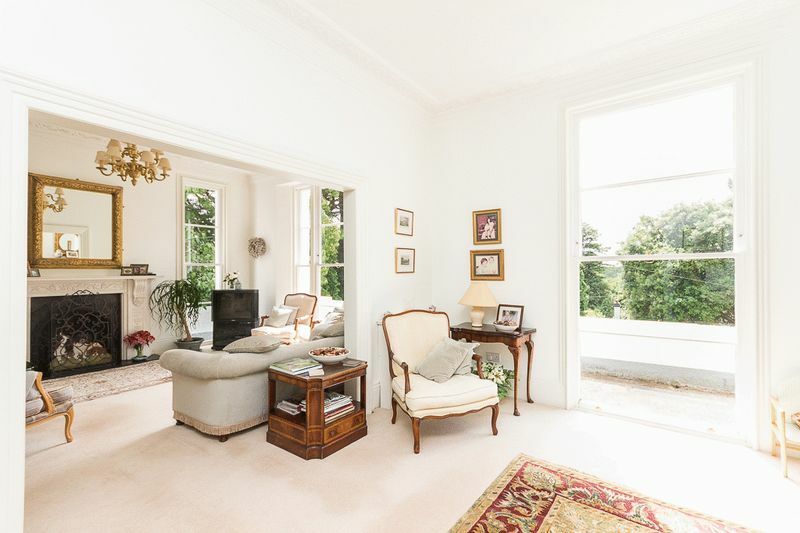 The dual aspect sitting room has a very grand feel with its high ceilings and along with the rest of the property is exceptionally well presented. 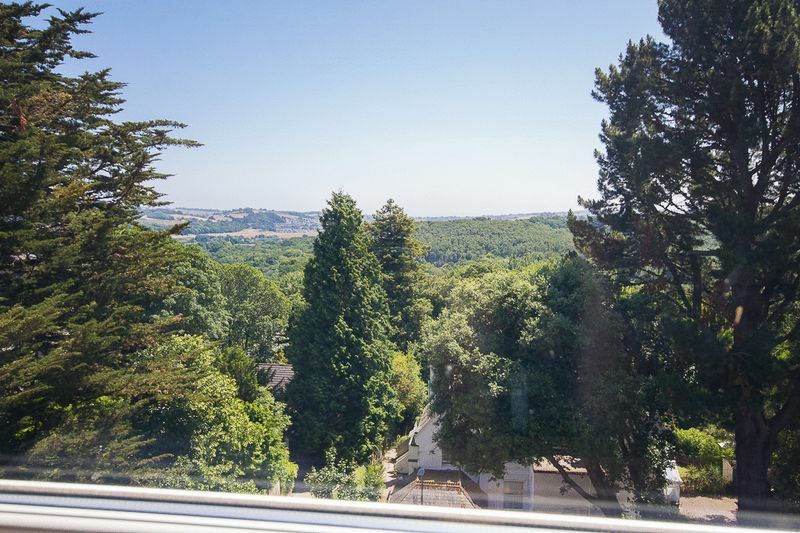 The huge floor to ceiling windows allow for an abundance of natural light to fill the room and offers some lovely views over the front garden towards the nearby countryside. 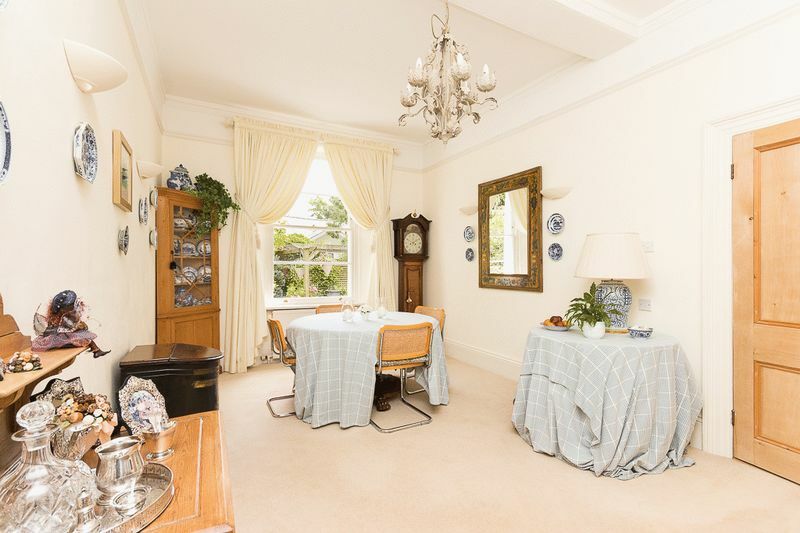 The dining room is currently decorated in neutral tones and benefits from a large window to the side aspect giving views over the patio area and pergola. 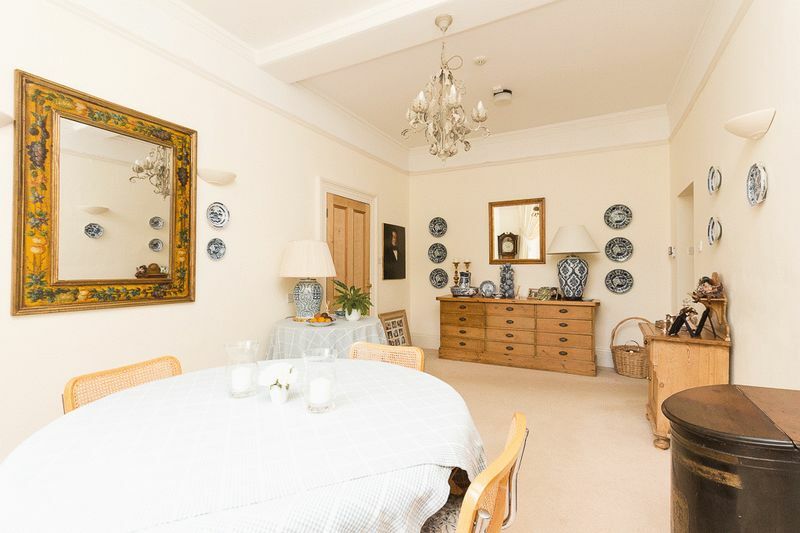 There is ample space for a large family dining set and the room also has scope to be opened up into the kitchen to create a very grand kitchen/diner or family area which would provide a fantastic space. 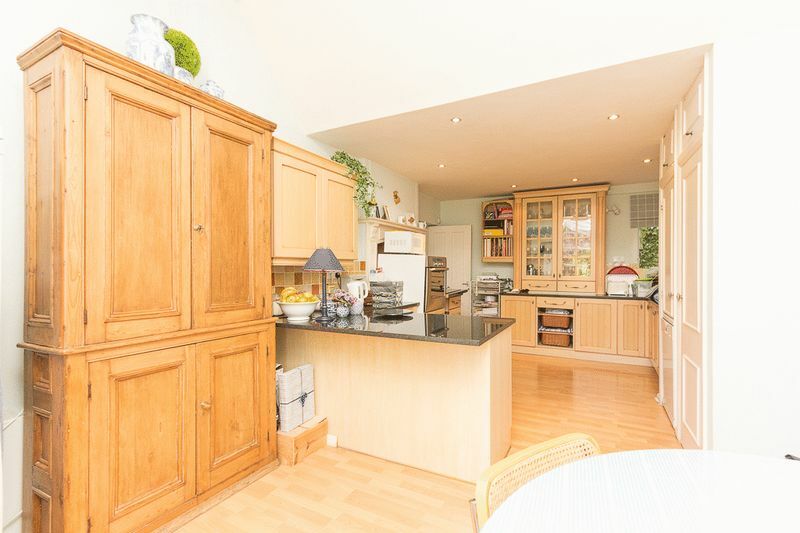 The kitchen is another generously sized room and well suited to the needs of a large family. It has been fitted with a range of wooden wall and base units with granite work surfaces, a 1 and a half bowl sink, oven and halogen hob. There is a characterful, tiled chimney breast with surround, which would make the perfect space for a range cooker. 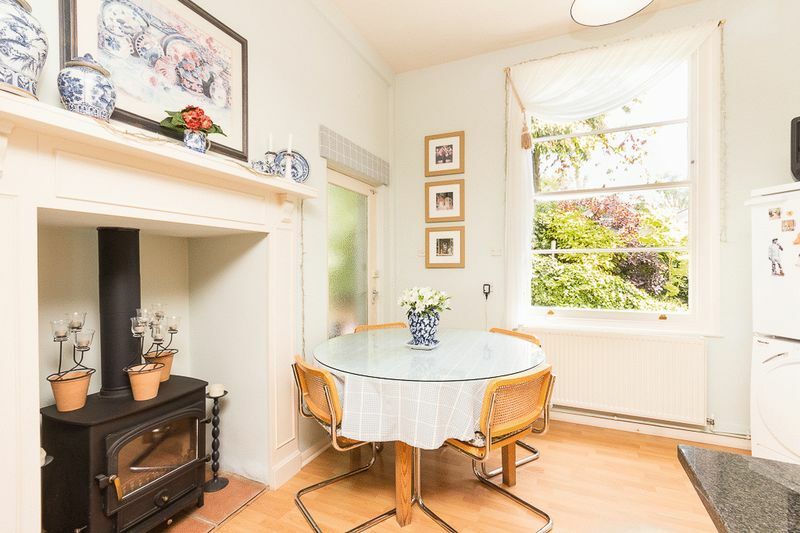 There is currently a breakfast bar and a further dining area which provides a great spot for a breakfast table with views over the side garden. There is space for a wood burner, recessed into the wall which would provide the room with a wonderful feature! 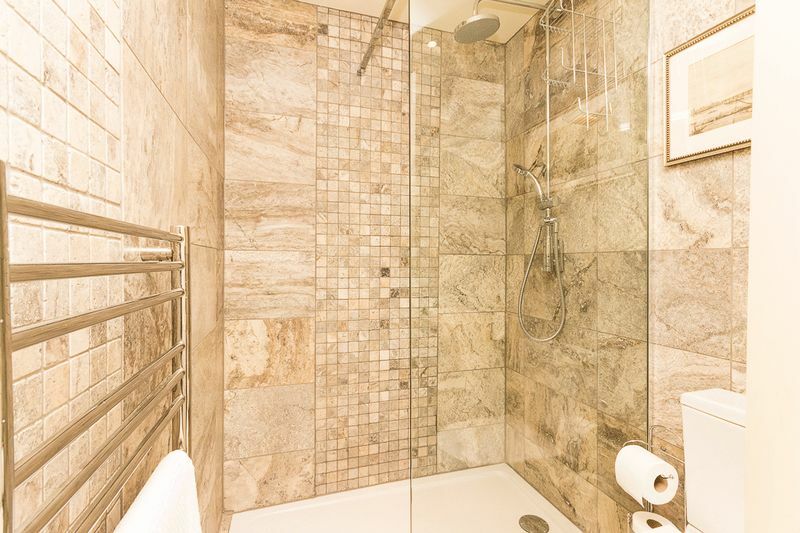 From the entrance hall, a grand staircase rises to a mezzanine landing offering access to the family shower room. Further stairs lead to the spacious, first floor landing which gives access to 4 of the 7 bedrooms, the stairs continue to the second floor. 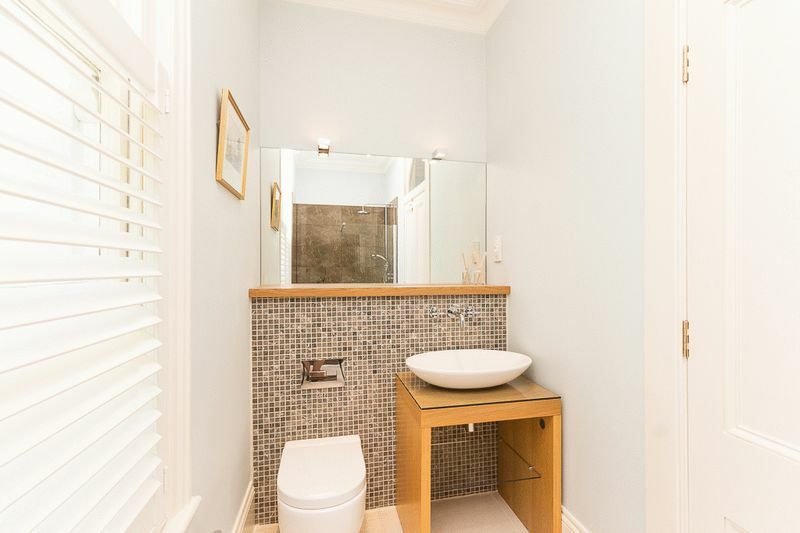 The family shower room is well decorated with porcelain floor tiles, white floor to ceiling wall tiles with a mosaic effect behind the hand wash basin vanity unit. 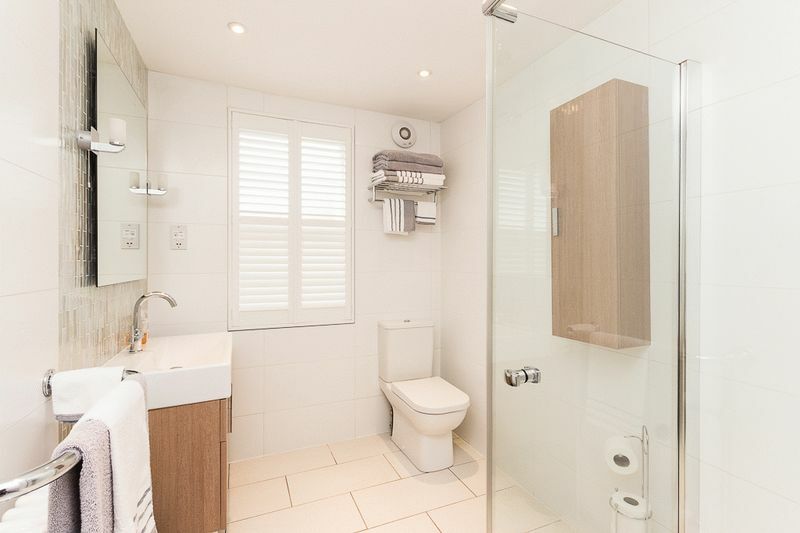 There is an enclosed shower, WC. Underfloor heating has been installed, perfect on a winters morning! 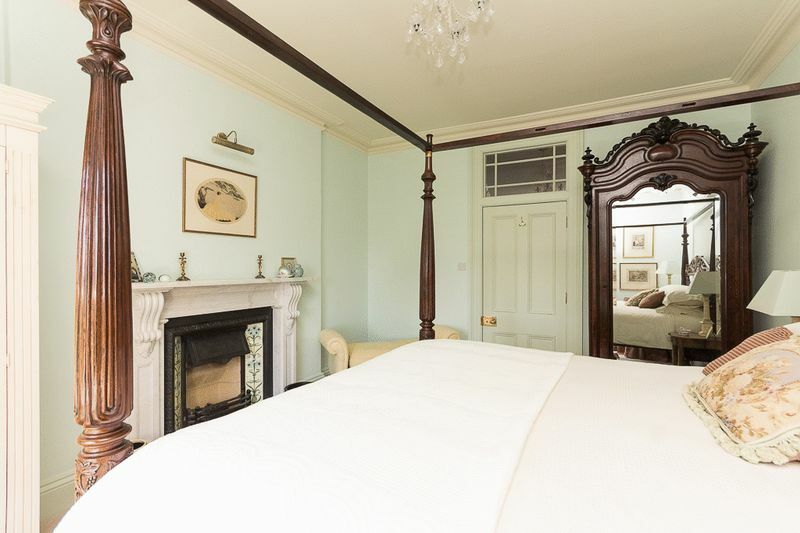 The dual aspect master bedroom is really a room to behold, fitted with another large marble fireplace, large windows with a particularly impressive view to the front, curved timber fitted wardrobes accompanied by an en-suite bathroom with oak flooring, comprising a 4-piece suite including a walk in shower. 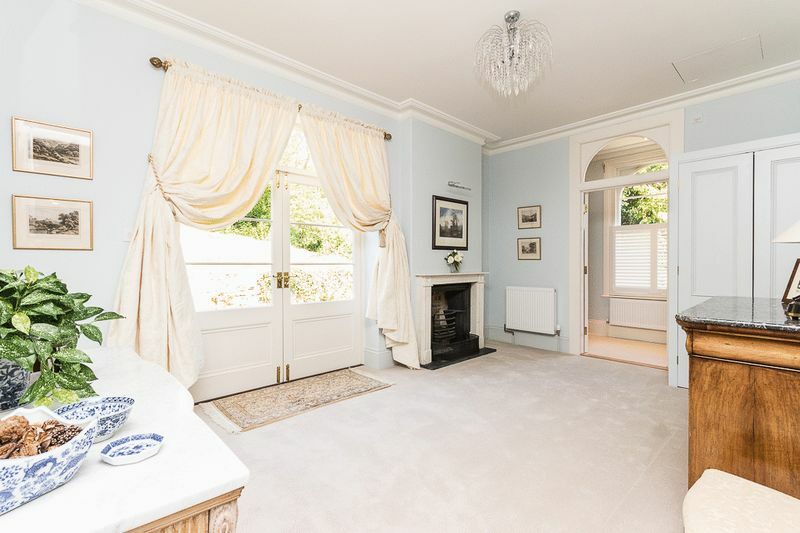 Bedroom 2 is located towards the rear of the property, entered through double doors and offers a versatile space which could also be used as the master suite. 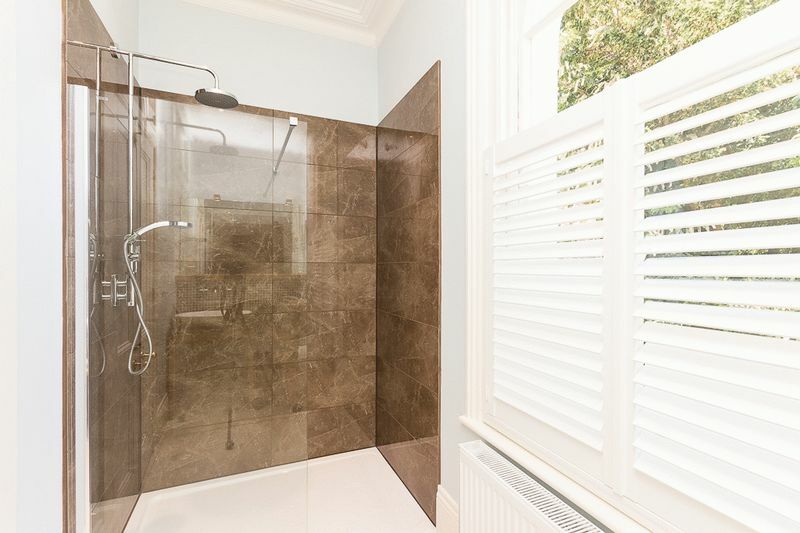 Double doors lead onto the rear decked area which has views onto the rear garden, there is a fireplace with marble surround, cornincing, fitted wardrobes with double doors leading into the en-suite shower room which also benefits from underfloor heating. 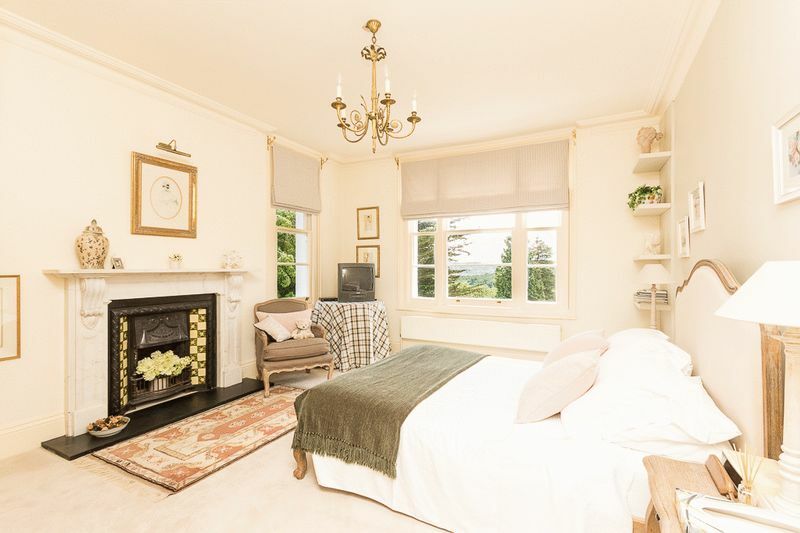 Bedroom three is another very large bedroom again fitted with a marble surrounded fireplace and benefits from the fantastic views to the front aspect. 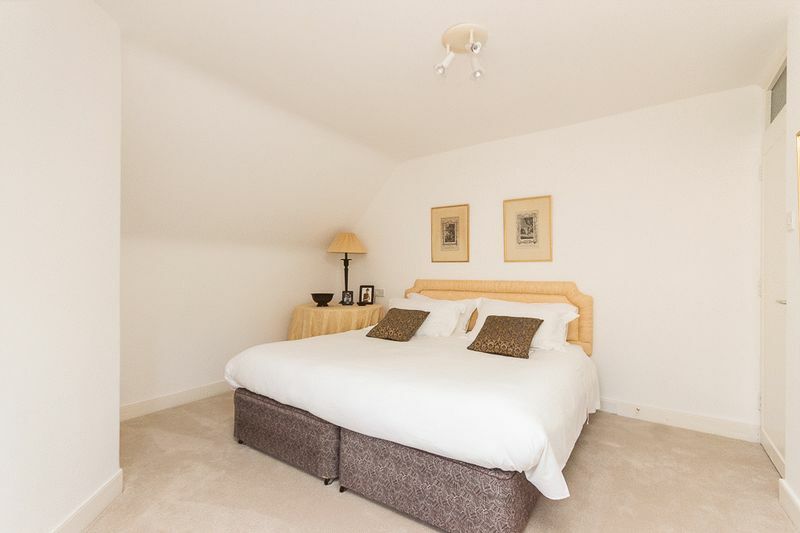 The last bedroom located on the first floor is a large single room which also benefits from an en-suite with some tasteful decoration. 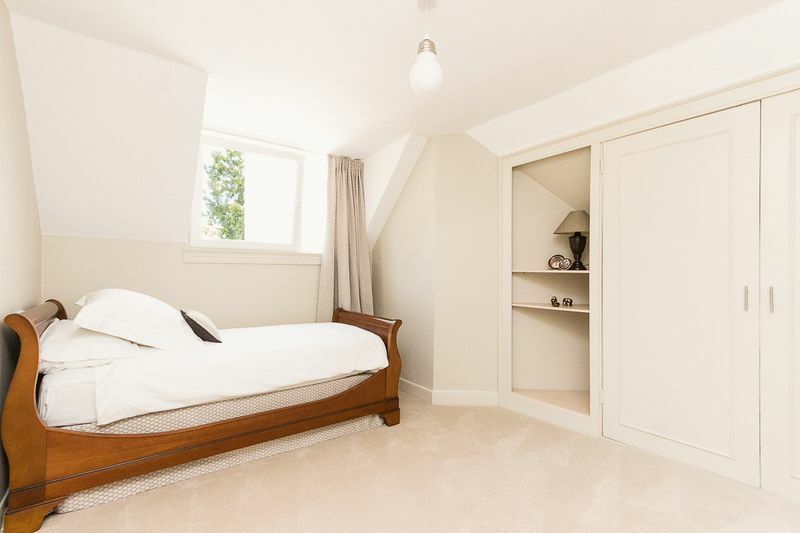 Stairs rise to the second-floor landing which enjoys additional storage and gives access to a further 3 double bedrooms, 2 of which benefit from built in wardrobes. The basement is large and split into many rooms offering a similar amount of space as the ground floor accommodation. A very versatile area which would be great for those who have hobbies that require space, a wine store, storage or all of these considering the size! 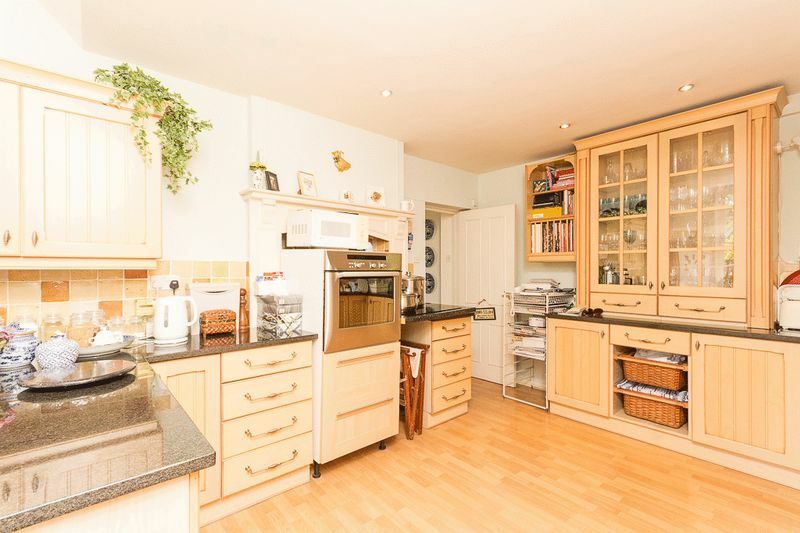 There are windows to the front rooms and there is a kitchen area. There is an old staircase which use to lead into the main house (this has been blocked off but could be re-instated.) Previously there was planning permission granted for conversion into ancillary self-contained 2 bedroom accommodation however, this has now lapsed but could be applied for again if desired. 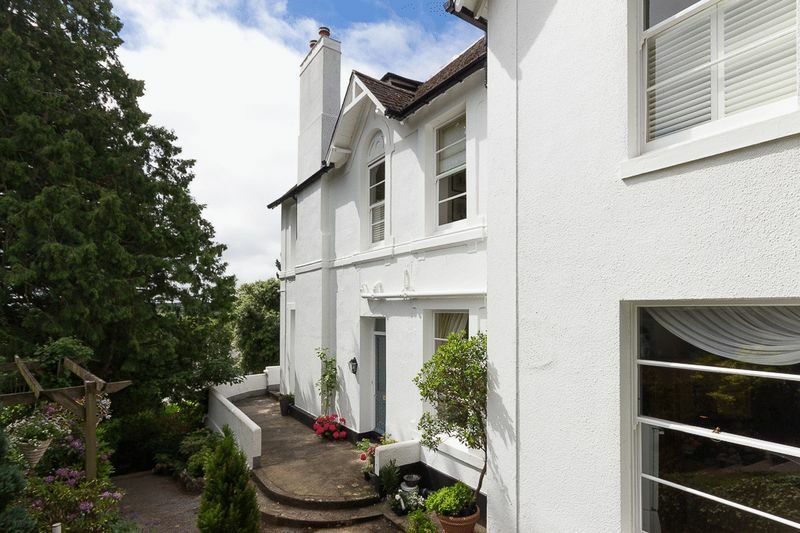 The property stands in its own enclosed grounds, accessed via a private gate from the pavement leading to a stepped pathway up to the house. 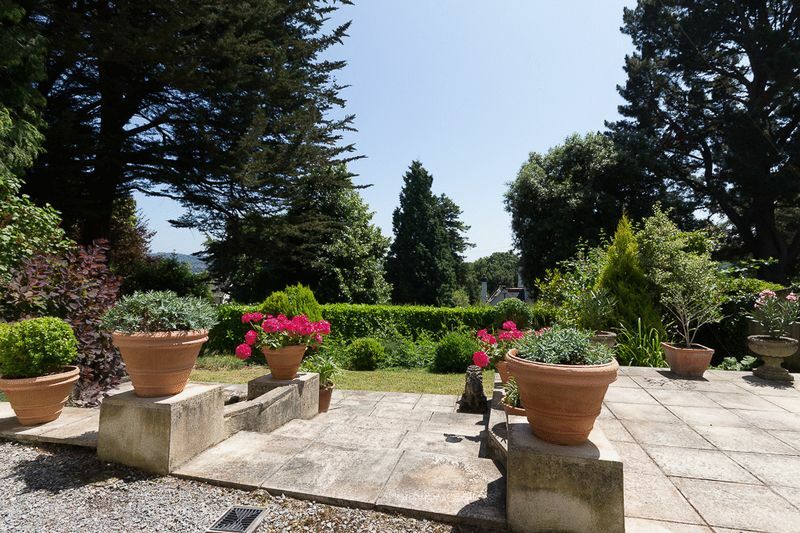 The front garden is arranged over two tiers, with two lawned areas benefiting from a range of well stocked established borders with a variety of shrubs, plants and trees. There is a patio area off the higher tier which provides a perfect seating area in the sunshine to take in the nearby views. There is a detached garage, accessed from the road, fitted with an up and over door. There would be scope subject to any necessary consents to create off road parking to the front. A path leads around to the rear garden, passing the front door and a beautiful patio with pergola to the side offering a great spot for a bistro set to sit out with a morning coffee. 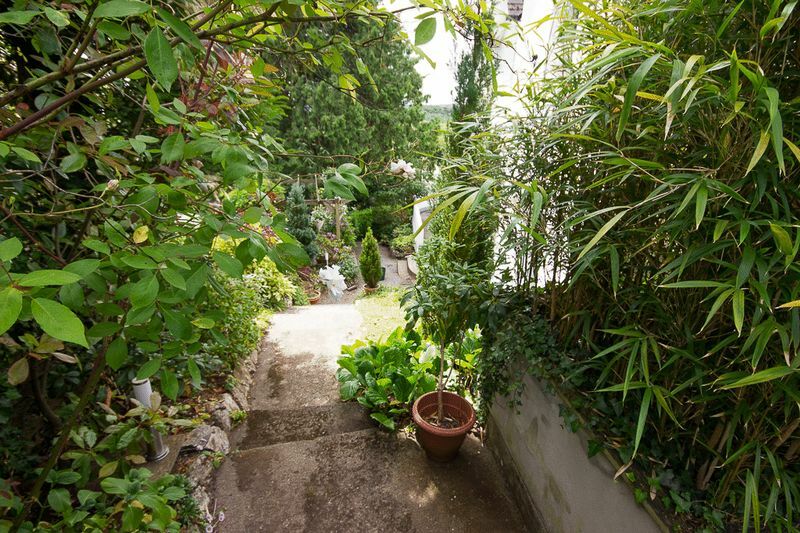 The rear garden is also accessed from the rear bedroom directly onto a large decked area. 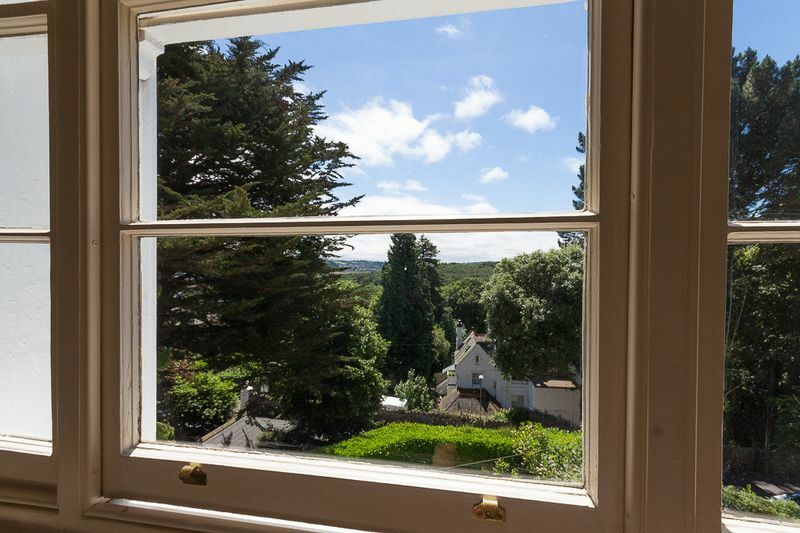 Steps lead up to the large rear lawn, which is wonderfully complimented by a range of different trees and shrubs and a seating area in the middle of the lawn affording far-reaching views over the house to the neighbouring countryside.